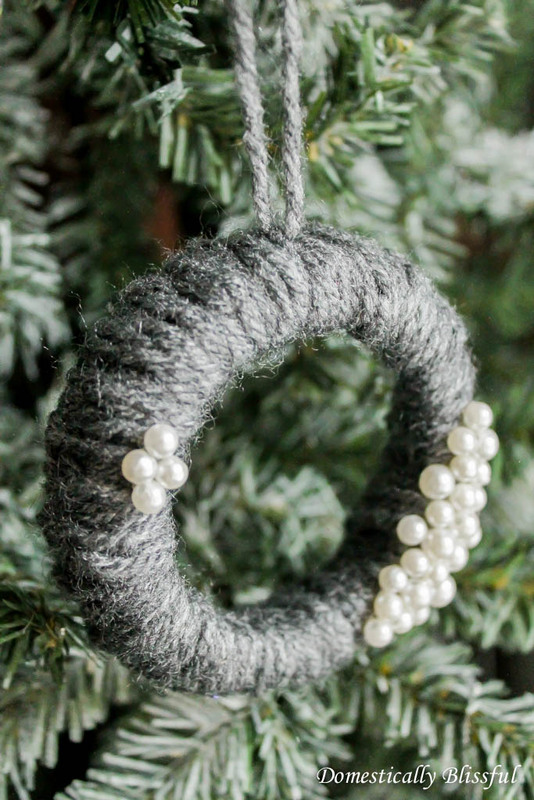 Create these adorable Mini Grey Wreath Christmas Ornaments from soft yarn for your Christmas tree this year! Plus there is a tip on how to make these mini wreaths while repurposing & upcycling! Somehow I have a lot of extra mason jar lids & rings laying around in different areas of our home. I have a bag in my craft room, another bag in the laundry room, & some sitting on a shelf in one of our kitchen cabinets. I’m not really sure how I accumulated so many or why they ended up in these various locations. 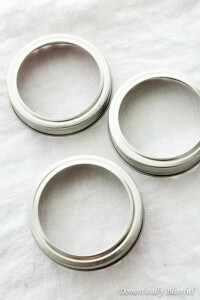 I do however know that since I want to declutter before we move I need to do something about all my mason jar rings. 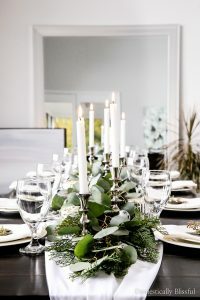 And while I would never throw them out I also can’t bring myself to donate them because I know that as soon as I do I will come up with a fun new way to craft & decorate with them. And luckily this isn’t just a hoarders excuse! 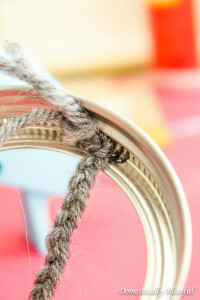 Well maybe just a little… But there really are a million ways to create with mason jar lids & rings! 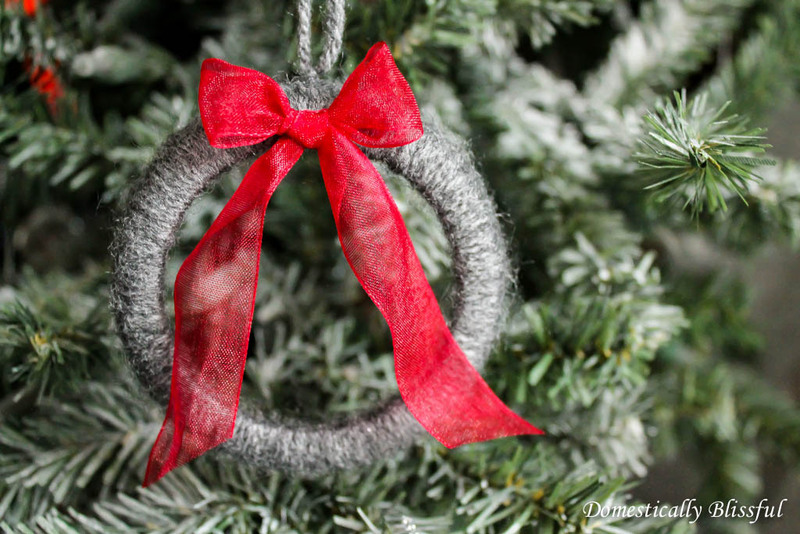 I am in love with how soft & cozy these little yarn wreaths look on our Christmas tree! 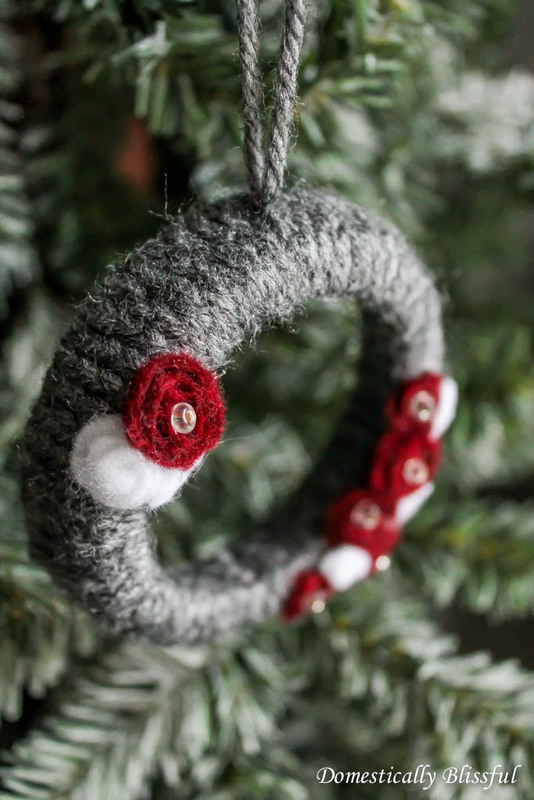 You can easily customize your grey yarn wreaths by decorating them with whatever you have on hand, like ribbon, lace, beads, buttons, or glitter. 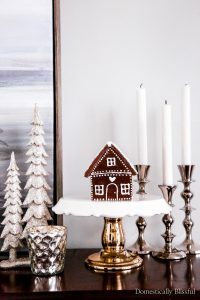 And if you use what you already have laying around your home this becomes a completely free Christmas craft! 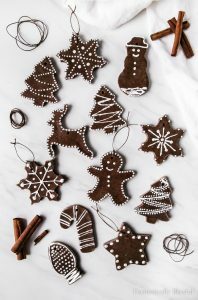 Plus you could even turn them into gifts or use them to decorate the outside of Christmas gifts! 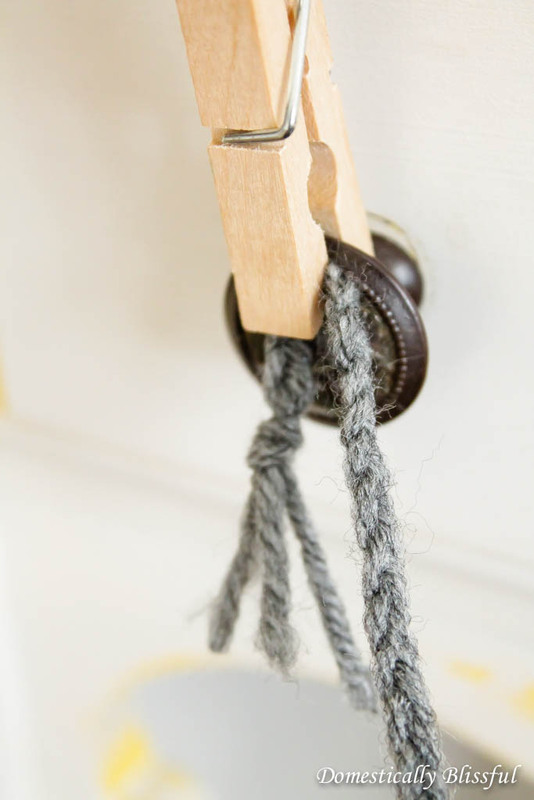 These Mini Grey Wreath’s are super simple to make, it’s basically just wrapping yarn around the mason jar ring & hot glueing it in place. So since this is a pretty easy project I decided to take it up a notch & make each one a little different. 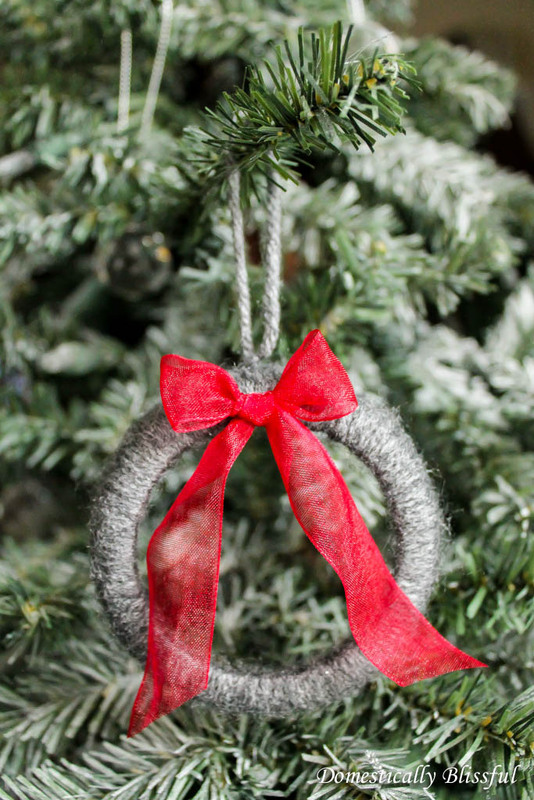 For the Red Bow Mini Grey Wreath Christmas Ornament I simply wrapped twine around the mason jar ring, tied a red bow, & hot glued it in place. 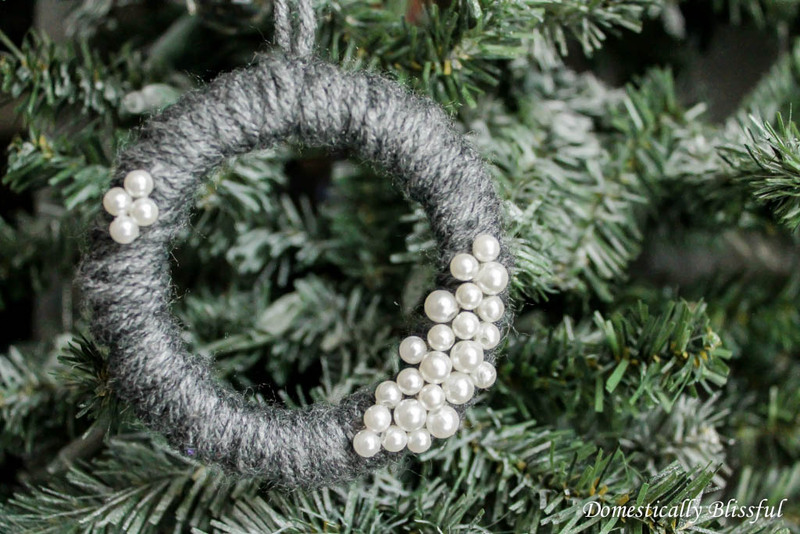 For the Felt Flowers Mini Grey Wreath Christmas Ornament I braided the yarn first & then wrap it around the wreath. 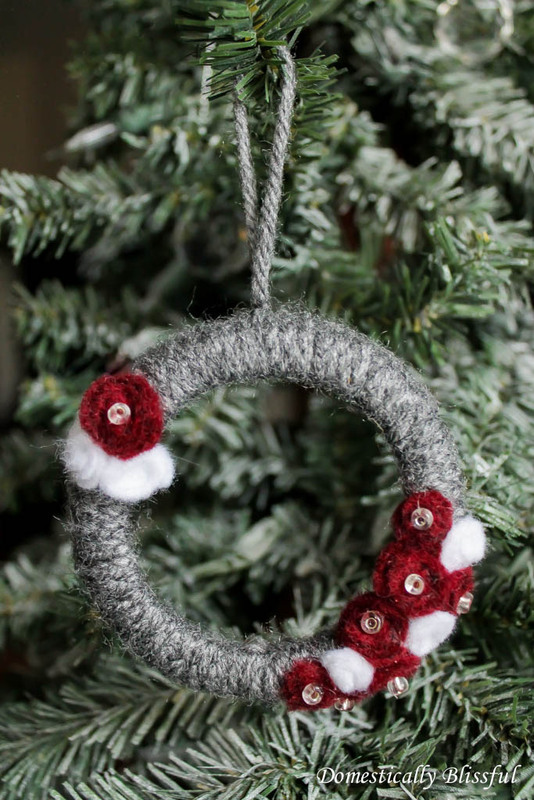 I then created mini flowers from felt & hot glued them to the wreath, just like I did for this white wreath, just mini! 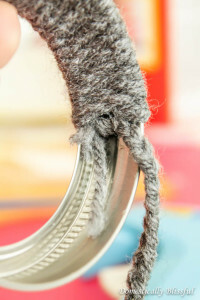 And for the final wreath I decided to 4 finger knit the yarn before wrapping it around the mason jar ring to give it a different type of texture/look. And since my creativity was running short I used the same concept as above just with creamy colored beads. That’s it! 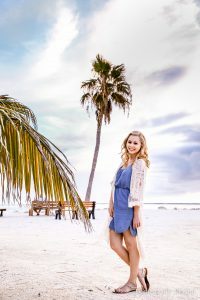 Simple to create & easy to customize! Oh & if you are looking for more ways to upcycle mason jar rings into ornaments than you will love this Sparkling Star Mason Jar Lid Ornament! 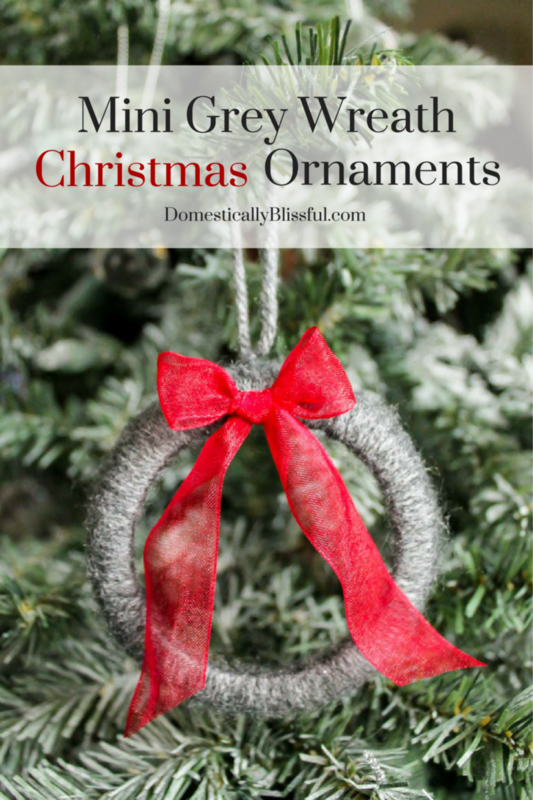 I’d love to see how you use your Sparkling Glitter Ornaments! 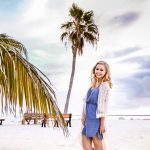 Instagram your Domestically Blissful inspired recipes & DIY projects with the hashtag #DomesticallyBlissful & ou might find your picture featured on DB’s Instagram!